Exciting news came today. Nice Mr. John Lewis sent an email to say what was new in store for Spring Summer 2011, browsing through I saw that our new range of tableware is there ahead of schedule (how often can I say that?!). here is a shot I took of one of our prototypes, please excuse lack of handle, the proper ones come with one. 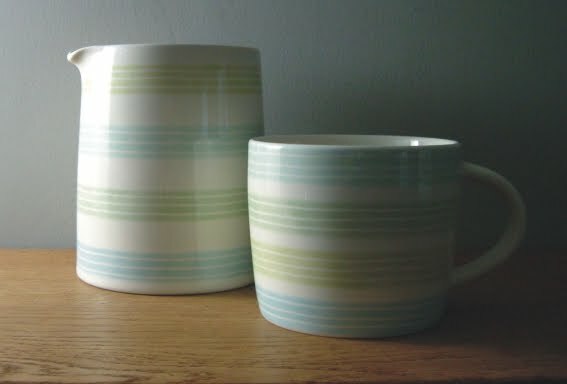 Here they are and also there's our new kitchen textiles too.